We are committed to providing quality healthcare to families located in the Laguna Hills area and treat patients of all ages. We provide comprehensive solutions for our patients' oral health needs. Believing in the importance of listening to our patients, we take the time to truly understand each person's needs, goals, and lifestyle. By understanding our patients' objectives we can provide solutions that will improve their health while transforming their smile into something bright and beautiful. Orange Coast Orthodontics is located at 24422 Avenida De La Carlota Suite 120, Laguna Hills, CA. We are currently accepting new patients, and you can schedule an appointment by calling 949-860-1231. When it comes to acquiring proper alignment for your teeth, professional orthodontic care is the most effective option. Whether you need to straighten your teeth or re-align your bite, we can find the most effective treatment to meet your needs. We will determine what treatment you will benefit from in order to achieve the straight and aligned smile you desire. We provide treatment for patients of varying ages from children who need braces to adults who are investing in Invisalign®. We can help patients maintain a straight set of teeth to promote oral health as well. With our treatment, patients can receive efficient and effective orthodontic treatment. The changes you desire for your smile are possible and we can provide the treatment to make those desires a reality. From the moment patients walk in the door to any follow-up appointments they may need, our team creates a comfortable and welcoming atmosphere for our patients. We strive to help patients enhance their smile for appearance and functionality. Since many treatments will require regular checkups to ensure the treatment is going smoothly, we will also strive to help the patient relax during appointments. Our team will listen to the patient’s concerns before customizing the treatment plan. We offer treatments to children, teenagers and adults. Our goal is to provide the most efficient and effective treatment possible to change the patient’s teeth in a healthy way. We have a variety of services that help to do this. While orthodontic treatment can take time, we have the technology and services to help speed up the process as much as possible. 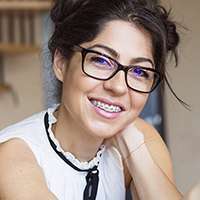 With the skills and knowledge of our team, we can provide services such as braces, clear aligners, Invisalign for teens, adult orthodontics, space maintainers, orthodontic retainers, orthodontic headgear, night guards, pediatric orthodontics, and kids orthodontics. We will customize each service to the patient’s needs. For instance, store-bought teeth-straightening products will not be nearly as effective as our professional treatments. Not only do we customize the treatment appliances to fit your teeth, but we can also make changes throughout the process when necessary. We will monitor the progress to ensure everything is working. To begin the treatment process, we will need to gather information on the patient’s current condition, medical history, allergies, insurance and any other pertinent facts we may need. Once we gather this information, we will conduct an examination to determine the condition of the patient’s teeth and overall oral health. Next, we will diagnose any conditions that need treatment and customize it to the patient’s needs. By customizing the treatment, we can give patients the most benefits from their process. While there may need to be some follow-up appointments throughout the treatment process, the number of them will vary on the patient’s condition, the type of treatment and how well the patient sticks to the treatment.